DNS Accountants is a UK-based contractor accountant who offers a broad range of accountancy services to Start-ups, small businesses, contractors and freelancers. We provide efficient accountancy services which include online facilities, Payroll Management, VAT Registration and Return Filing, Accounts Management, Profit and Loss analysis, company registration and business setups with the help of our highly expert accountants in Stoke on Trent. We offer excellent accountancy services so that your business is protected from random investigations by HMRC. We offer tax planning and quick online solution for all your financial queries and provide guidance for overall expansion and advancement of businesses of our clients in each and every possible way. For this, we have a good team of highly qualified and duly accredited Chartered Accountants in Stoke on Trent having degrees from some of the most esteemed institutions. Our accountants provide their expert advice in various fields of accounts management and taxation planning. We are driven by innovation, technology, and people, and aim to make life easier for our clients by assuming their tensions as ours and leaving them stress-free. We extend our services in consultancy and accounting arena with the help of our top-notch chartered accountants and outstanding tax accountants. DNS Accountants also takes utmost care of your fund management, accounting needs, corporate financial services both efficiently and promptly so that you do not have any issues related to your accounts. 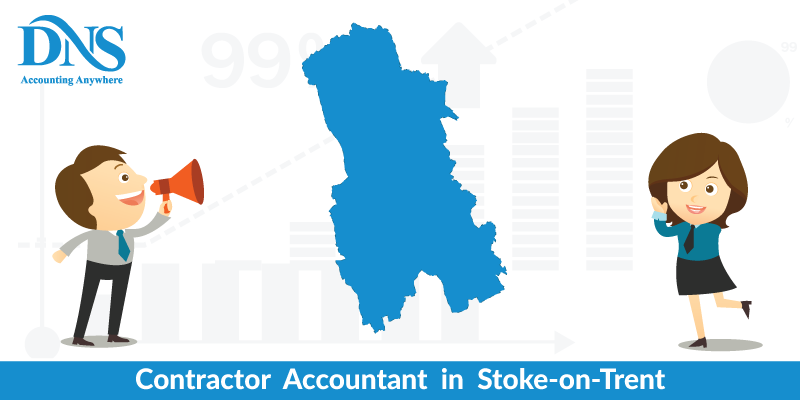 We possess highly adept small business accountants in Stoke on Trent and nearby areas, with exposure to over 2000 businesses. We have a global rating of 4.5 out of 5, and that speaks volumes about our work. You can always trust us and depend on us for your business growth and future development. DNS Accountants is having the objective to maximize the profit of our clients and subsequently their faith in us. Our accountants in Stoke on Trent perform a wide array of duties such as managing transactions, accounting books, vouchers, payment slips, orders, payments & receipts, calculating profit and loss and maintenance of balance sheet. We present accurate and easy to understand accounting information to both the company and auditors. We also help you look out for various financing sources and easy repayment options for your existing debts and loans. DNS boasts of skilled personnel and updated software that helps us keep ourselves ahead in the race against others consultants. Our leading team of expert tax accountants in Stoke in Trent understand the needs of our clients and work accordingly. Tax planning services, tax reduction, introducing ease in debt payment and guidance on what to invest and where are just a few of our tax accounting services at DNS. Further, we also provide assistance with planning your investments in such a way that you can draw the maximum tax benefits and at the same time gain an incremental return on your investment. 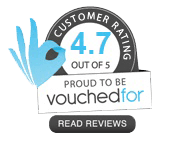 DNS’s Chartered accountants in Stoke on Trent are the best you’ll find in the business. We put forward various sub-services like financial system management, financial advice, resource administration and audit prior to the filing of IT returns. This is in addition to providing all kinds of financial assistance, risk analysis, risk management and budget management. Negotiating with suppliers is also done at DNS. Psychoanalysis of acquisitions, mergers, and collaborations to detail everything in correct order and avoid any discrepancies is critical when dealing with start-ups or even high-end companies. We reduce your burden of having to list out all your accounts or employing separate staff for it. We provide additional assistance in terms of business improvements with those businesses on the verge of dissolution or bankruptcy. We offer specially prepared reports on the monthly and annual basis to help you keep a close tab on the financial health of your company. Arrays of accounting services are on offer at DNS. We provide our services to both well-established entrepreneurs and fresher start-ups. We handpick and customize services for all types of clients including those who have been in business for a few years now. Regular and on point investigation about the market trends helps us understand our client’s needs better. Staying well informed of all that is happening in the world keeps DNS a notch ahead in the competition. Our Small business accountants in Stoke on Trent are industry wise and comprehend very well the exact service or guidance needed. This helps develop a better bond between the client and us. We also provide bank funding and external investment advice. Setting up the perfect combination of skill and expertise is what you can easily find with DNS. DNS Accountants provide protection to business and consultants by indemnity insurance. Indemnity insurance covers you- if any of your mistakes or negligence causes any financial loss to client’s business that leads to legal proceedings. We cover unintentional infringement of trademarks, broadcasting rights, etc. We also provide help in legal proceedings related to breach of duty and breach of contract. We administer services in the restoration of your damaged or stolen data documentation of the client. Indemnity insurance also covers you from the liability arising from theft. Consequences related to the claim are also solved by professionals at DNS. Indemnity insurance saves you from financial losses. It is a process that helps measure the improved success of an enterprise. At DNS, this can be achieved very easily by heightening the revenue of the business by maximizing the income and product sale and decreasing the operation cost. Our increased customer base of satisfied clients has been growing each day. Along with Stoke on Trent also provide our services at a number of locations like at Keele, Crewe, Stafford, Buxton, Warrington, and Wolverhampton as well.